Rat’s Glass starts out with a large slideshow on the homepage to grab attention. The slideshow cycles through some of Rat’s street rods. The pages for each street rod have individual slideshows that cycle through images of the street rod piece. The Testimonials page links to different external new articles featuring Rat. An Awards page shows some of the awards Rat’s Glass has won. The striking red and dark gray color scheme reflects the bold beauty of these classic cars. Pioneer Media built Rat’s Glass and provides management services when updates are necessary. 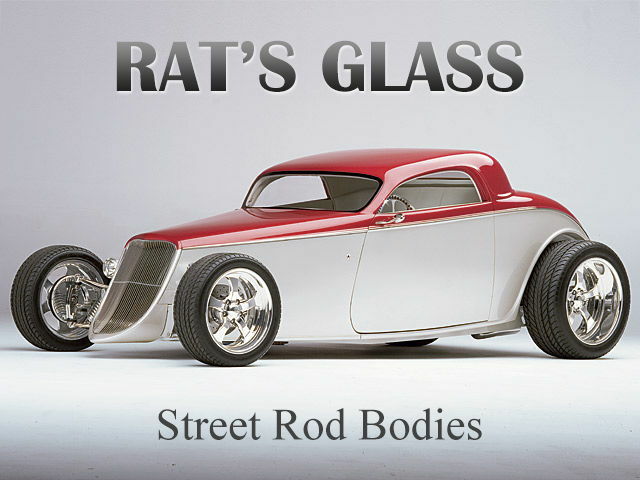 Rat’s Glass sells street rod bodies for the Speedstar Coupe & Roadster, 1932 Coupe & Roadster, and the ’33 Couple & Roadster. Rat’s Glass is nationally known and located in Friendsville, Tennessee. They have won a number of awards.